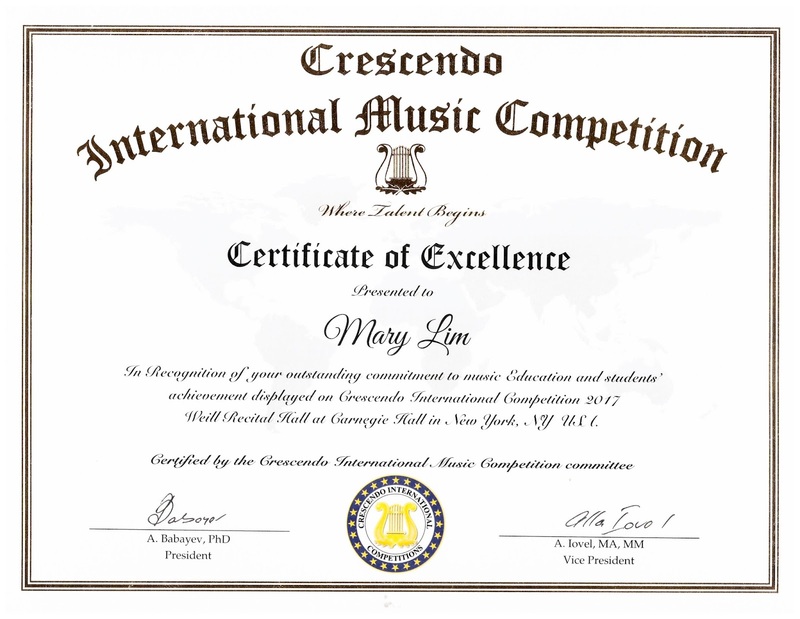 North York piano teacher Mary Lim was awarded a Certificate of Excellence by Crescendo International Music Competition after her student Diana G. Pirvu performed in a prize-winner concert at Carnegie Hall in New York this February. How can a piano bench suits every pianist and how can it suit a child who is growing everyday? The answer is: It has to be adjustable. In this video, you can see how important it is to adjust the bench. What does your examination marks mean to you? The table here summarizes the percentage of candidates across Canada who achieved standings at the Honours, First Class Honours, and First Class Honours with Distinction levels each academic year. Teachers, students and parents may find it useful to gauge how students' results compare to candidates from the rest of the country. Congratulations to Kevin Lai who obtained 94% in his Grade 7 examination this Summer! 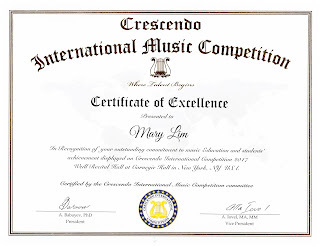 Kevin began his studies with me three years ago and has garnered many awards in piano since then. Congratulations to Kevin Lai who was awarded scholarship in both the 14th and the 15th All TV Festival of Music! He was invited to perform in the winners' concert which was broadcast on All TV channel.